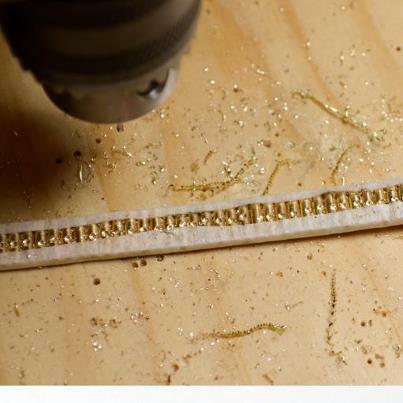 I’m working on a new order of earrings and figured out a more efficient way to drill the bar studs! The little drilled hole is where I solder each of the posts on. It’s an extra step, but makes the posts way more secure.